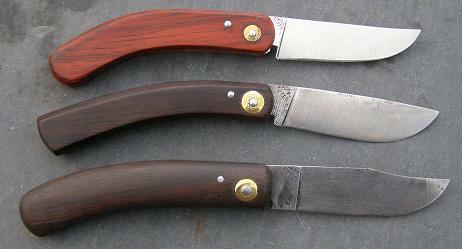 These knives are carefully hand-forged from the same old sheffield branded file. They have excellent edge retention and are easily sharpened. They have a thin and flat grind for all-round usefulness. 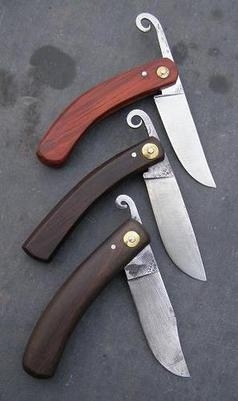 They are better suited to preparing food than my other folding knives having thinner and longer blades.